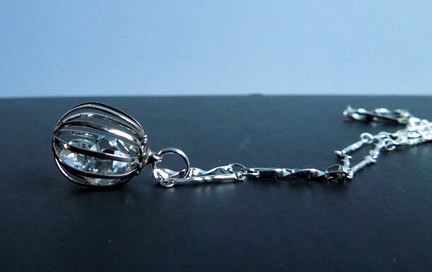 Notes: Three double terminated Herkimer Diamond crystals in a playful cage pendant. The water clear crystals measure 10-12 mm. They move freely in the silver plated, 15 mm cage. 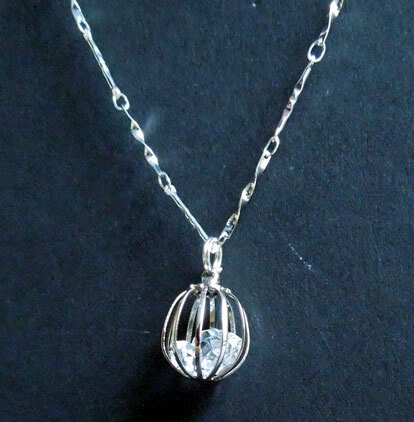 The pendant hangs from a 16" silver plated chain. 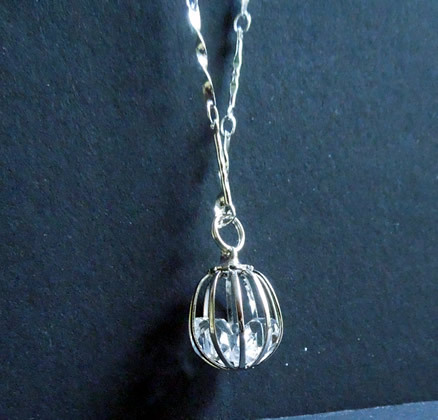 Herkimer Diamond crystals in a cage pendant.